CPC (Colder Products Company) is the leading provider of quick disconnect couplings, fittings and connectors for plastic tubing. 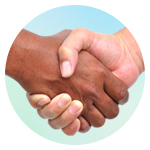 Founded in St. Paul, Minnesota in 1978, CPC has more than 300 employees, operations in St. Paul, Germany and China, sales offices in ten countries, and more than 200 distributor partners around the globe. CPC connection solutions improve the overall functionality and design of the equipment and processes in which they are used. Special product features include precise hose barbs for superior grip, built-in shutoff valves to prevent product spills and an easy-to-use, push-button thumb latch for quick connecting and disconnecting. 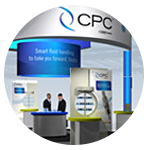 CPC innovates on the leading edge of what is possible and collaborates to develop the best solution for each customer. Many of CPC’s standard couplings and fittings began as custom engineered solutions that found broader use in applicable markets. To date, CPC has produced over 10,500 custom and standard products to meet the fluid handling challenges of various industries worldwide. CPC is a Dover Company. Dover is a diversified global manufacturer with annual revenues of $8 billion. 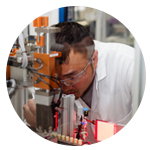 We deliver innovative equipment and components, specialty systems and support services through four major operating segments: Energy, Engineered Systems, Fluids, and Refrigeration & Food Equipment. Dover combines global scale with operational agility to lead the markets we serve. Recognized for our entrepreneurial approach for 60 years, our team of over 27,000 employees takes an ownership mindset, collaborating with customers to redefine what’s possible. Headquartered in Downers Grove, Illinois, Dover trades on the New York Stock Exchange under “DOV.” Additional information is available at www.dovercorporation.com. Watch more here.